It looks as though US comedy Community is to depart our airwaves for good. And while the fanboy in me weeps uncontrollably, the economist in me is delighted to have been given a perfect case study on the brutal economics that lies behind the entertainment we all get to enjoy. 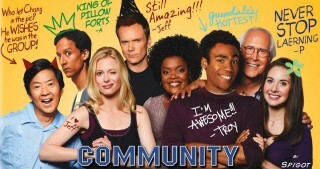 Created by Dan Harmon, Community spent most of its first three seasons (broadcast by NBC) ‘on the bubble’, constantly waiting to find out if the cash would be available for it to get another series, trading off critical goodwill and fan appreciation against audience numbers that failed to impress the advertisers. Behind the scenes, the creator was fired. Unbelievably, even the subsequent audience-alienating fourth season did not end its run, and in an almost unheard of development, Harmon was re-hired to helm a fifth. Restored critical notices did not translate into higher audiences and the show was cancelled by its network, only to reappear with fundamentally the same cast for a sixth, this time on a new outlet - Yahoo Screen. Unfortunately, it didn’t quite work out here either. Yahoo totalled its losses on the operation at $42m in 2015, and learnt one of those difficult lessons that had always driven network strategy the hard way: TV can be expensive to make and difficult to monetise. 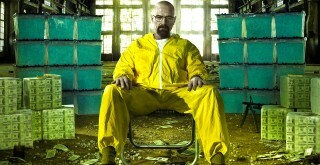 At a rumoured production cost of $1m an episode, the show was expensive. At the same time, with subscription being negligible and internet-based advertising not carrying the same premium, the revenue side of the equation was also far from favourable. It was to no observer’s surprise, then, that Yahoo Screen was one of the first operations the company folded at the end of 2015. (Yahoo, by the way, makes most of its revenue from the Chinese business-to-business exchange Alibaba in which it began investing in 2005). So what does this tell us about how broadcasting operates as an industry in 2016, in terms of the people who make the product, the viewers who watch it, and the advertisers who, largely, pay for it? In particular, how has broadcasting changed and what has this done to the firms operating in the industry? protected from entry What's this?
. No wonder British media impresario Lew Grade described ITV franchises as “a licence to print money”. This meant that channels had relatively predictable market share and therefore a pretty simple pitch to their advertisers. But as cable and satellite competitors came into the market, broadcasting as a whole found itself having to reinvent its pitch - as you have more channels fighting over viewership, channels began to emphasise the ‘quality’ (read demography) of their audience. Thus, broadcasters learnt that there was money to be made from what may have been regarded as niche shows beforehand - think Breaking Bad - and some increase in variety to viewers was the benefit. To see how TV channels used to behave, consider this scenario. Imagine that there are 10 million people in your audience - and of them, seven million like soaps, two million like sitcoms and the remaining righteous one million prefer zombie apocalypse stories. Now imagine the decision of what show to produce for each successive channel. The first will produce soaps, because that’s the biggest slice of the audience. The second will also produce soaps, because seven million divided by two channels is 3.5 million, which is still bigger than the next biggest slice. The third will, by the same manner of calculation, produce soap operas. The fourth, however will produce sitcoms (because seven divided by four is less than two!). It’s not until you open up a tenth channel that anyone will produce zombie shows! Channels also face two key biases, and these don’t change as you increase the number of channels. The first is that you’ll not make any programme where the upfront costs are too high. As television costs are all upfront - it costs the same to make a programme whether one person sees it or a billion people watch - this is a key point for the industry. The second bias is that you’ll not make a programme where the buyer is too price sensitive to pay more than the competitive norm for the show. takes effect. On a good day, and assuming you can get someone to pay for it, this cost structure is a recipe for runaway profit growth. Once you’ve recouped the fixed cost, almost everything is pure profit. On a bad day, however, you’ll never recoup the fixed cost. 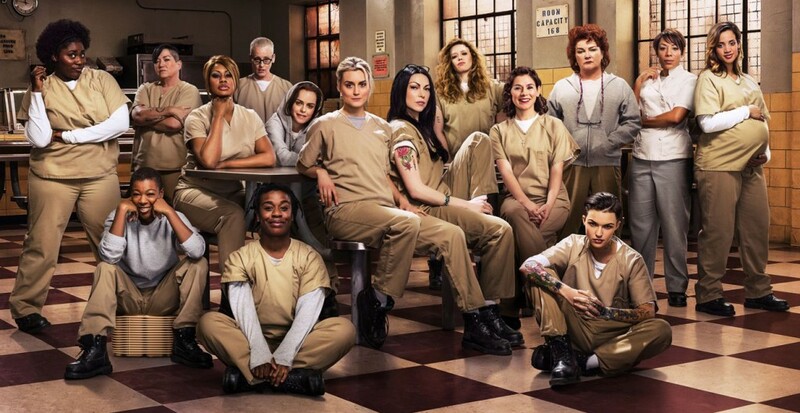 Thus networks have learnt to be brutal with shows, cancelling them the moment it looks like the cost of production will outweigh advertising revenues. Sentiment can have little place in the decision when substantial costs have to be recouped. Add into the mix the difficulty of getting good information on which segments of the potential viewership are actually watching the show and you have a second problem on the revenue side - advertisers need mass reach or a clear demographic slice and without either they’re less likely to stump up. (A quick digression - better data might help, but it’s not necessarily the case that it leads to better matches between viewers and advertisers: For instance I love Game Of Thrones, but that does not necessarily mean that I will have any liking for Shannara Chronicles though they might tick the same ‘visually attractive epic fantasy’ box). Further, the longer a show goes on, the more its cast costs (if you ever hear of a favourite actor being fired from a show, assume money is the reason). If you cannot find a way to monetise the eyeballs of the audience, then you’d best pull the plug before your artistic instincts lead you into bankruptcy. Yahoo - whose media aspirations have had to be dropped - learnt the hard way. Other competitors have found somewhat better models and look more sustainable. Where this leaves Community is back where it was for most of its broadcast existence: ‘on the bubble’ and looking for a new patron - movies being a favourite option at the moment. For a fan like me, the hope is that somewhere down the line, someone will finally fulfil Abed Nadir’s promise with that movie. https://www.youtube.com/watch?v=X1Pf_X_mgwM In the final scenes of what’s now, sadly, the series finale, Harmon alludes to the problem of accurately assessing the reach of your advertising. The networks in the US traditionally used Nielsen’s system for measuring audiences which has many known drawbacks. Big data solutions might give better sense of how well you’re hitting a target market but Yahoo didn’t seem to have any more success using them.